The following people have already registered for the tour and will be assigned teams as we get more entries. We will continue to update this list as more people register. While the APRC is good at being “all powerful”, it is not good at being an accountant. There was an error in calculating the cost of the TOMR accommodation and transport package. Paypal fees and 10% GST on the van hire, among other small things, were not included in the original calculations. We are very sorry for this mistake. The cost has changed and is now $838 per racer. If you are unable to pay for this in one go, email race@southperthrouleurs.com.au to arrange a deposit. The remained will be due on 1st October. If you have already payed your entry at the previous price, congratulations! You got an early bird discount! To purchase your entry, visit the SPR shop. Remember, you must be a SPR member and have a race license for the tour. Second point… just to clarify things. Any SPR member is able to race TOMR if they want to, regardless of their ability. BUT please remember that this is a very challenging, but very rewarding, 3 days of racing. TOMR is not a participation ride like the dams challenge or the cyclo sportifs. This is mutli stage road racing at its best and a certain level of fitness and cycling ability is essential. Entries for the 4 male and 2 female SPR teams will close at midnight on TUESDAY 29th SEPTEMBER. If by that time, we haven’t filled all teams, then we will have to reduce the teams accordingly. If there are left over registered racers, the APRC will decide on who will go on the “reserve” list based on when they signed up for TOMR (ie.. sign up now) and their participation in races and club activities during the year. Once the squad of riders is confirmed, the teams will be determined based on ability. For example, SPR male team #1 will be the 6 fastest racers who have registered. Once again, this will be determined by the APRC and be published on 4th OCTOBER. 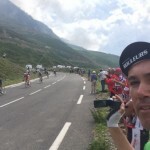 There will be informal training/selection rides on selected Saturday’s leading up to the tour for members to practice TTT and hill climbing prior to the tour. These will be advertised on the blog. Planning for SPR’s involvement in TOMR has progressed. We can now confirm the cost for riders wanting to be involved and the process for securing your position. As mentioned below, we have arranged an inclusive registration, transport and accommodation package for SPR members racing TOMR. This includes event registration, van and trailer transport for you and your bike from Perth and very importantly, to and from each stage of racing, plus 4 nights accommodation in luxury beach side holiday homes. Everything you need for the weekend except food! The cost is $770 per rider. $320 is race registration and $450 covers the costs of hiring the vans, trailers, petrol and accommodation. I know this seems like a lot, but please consider all that it covers. The SPR committee has agreed that all SPR team riders need to pay the full amount to race TOMR, even if they will get to Margaret River themselves or choose to stay elsewhere. We cannot make exceptions to this as the costs will rise for the remaining members if some do not contribute. To confirm your spot, purchase a TOMR entry from the SPR club shop. This is limited to 24 men and 12 women. First in, best dressed. If you want to race, but cannot pay the full amount now, please email race@southperthrouleurs.com.au . If you are unavailable to race and let us know before October 1, you will get a full refund. If you pull out after October 1, the club will provide a reimbursement only if a replacement racer can be found. There are also spots for 5 volunteers that are required to drive the vans during the racing. These spots are free due to club subsidy and include transport and accommodation. If you are able to volunteer, then please “purchase” a TOMR entry in the shop or email race@southperthrouleurs.com.au to let us know. Volunteers do not have to be SPR members. Keep the training up and remember to sign up for all the upcoming races. 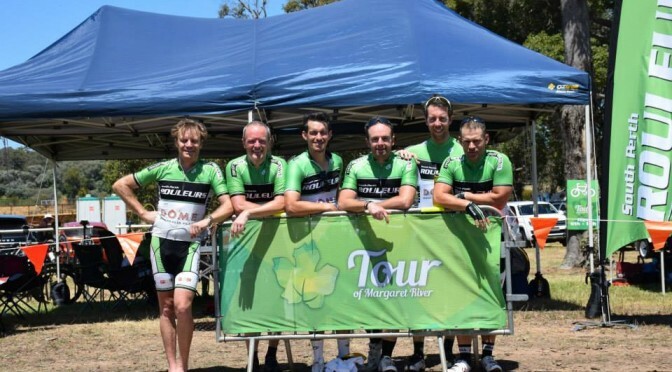 The biggest and best road race event on the WA calender is the Satalyst Tour of Margaret River. This year’s event is on from Wednesday 4th November through to Saturday 7th. This is a team event. You will battle it out with your SPR mates in 4 events over 3 days. An uphill individual TT, a spectacular team TT through the Karri trees of Caves Rd and 2 road races. More information can be found on the TOMR website. Check out these previous blog posts about the TOMR in the past – here and here. We are looking for SPR members who are up for the challenge. We have been allocated 4 mens and 2 womens teams of 6 riders. Any member of any ability is welcome to race, as long as you have a racing license by November. It doesn’t matter if you ride Saturday Fast or transition group, if you want to race, the club will help you with training and preparation. Also this year, the club has arranged accommodation for all the teams and will also arrange transport. While taking up the accommodation and transport option is optional, it is strongly encouraged. Very strongly encouraged. Not only is it a big racing commitment, there is also cost to participate. Race entry is $320 per rider plus $44 if you do not have a race license. We will update the cost of the transport/accom package soon. First, a “squad” will be formed from which the APRC will determine the specific teams closer to the event. We hope to have some great training initiatives to help you achieve your goals at TOMR. If you want to be part of this event, leave a comment below! Laurensia is in for the expression of interest! Interest is higher than my credit card rate. Can I suggest putting up an approximate cost guide for those that are new? By the time you add race license, tour cost, accommodation etc it can add up to quite a large financial commitment. Yes Steph. Good point. It is a large financial commitment. I have updated the webpage to give a preliminary budget. More will come after we have done some further calculations on the transport/accom cost. Cool, obviously still keen as! Hi, I’d like to be included. Lots of ways. 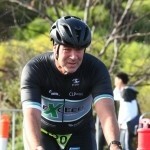 If you are not already an SPR member, join through this website http://membership.cycling.org.au/ . There are discounted 6 month memberships for the remainder of 2015. If you are a SPR recreational member, contact CycleSport WA (http://www.wa.cycling.org.au/) to help you upgrade to a race license. Yes please, I’m keen to join a team! Interested, although it may come down to what the total cost of the event is once transport/accommodation is put on top of the race cost. Putting my hand up formally. IF this has not sold out, I am interested. Hi Troy, Great to hear you’re interested! Entry is simple. Go to the SPR shop and purchase your entry. Then get training! Thanks Dave – unfortunately just checked the calendar and have a wedding on 7/11 and can’t bail on this one – next year it will need to be ! Can I please ask what date/time the SPR transport will be leaving Perth for bikes and the riders? I am planning to book my leave (as are others) and need to put in the actual days I will not be in the office.